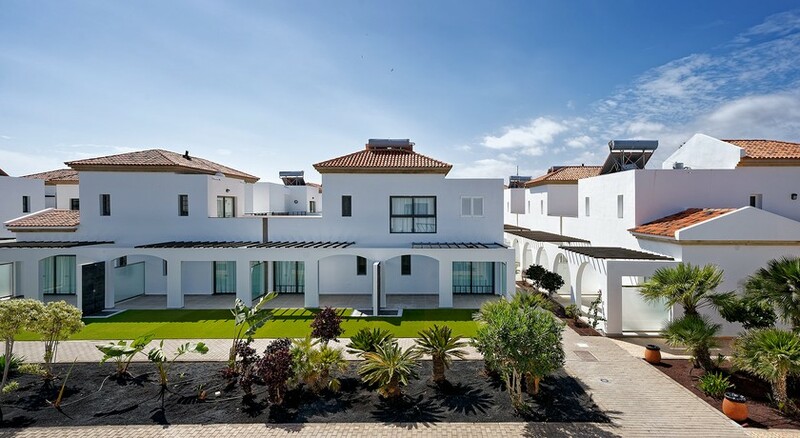 The pastel-hued village of Broncemar Beach is a perfect choice for couples and families looking for a fantastic pool and beach holiday in beautiful Fuerteventura. 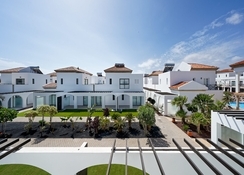 Cobblestone lanes and pretty gardens give the 3-star Broncemar Beach a wonderfully welcoming feel - mix in wonderful sea views, three fantastic swimming pools and quality restaurants and you’ve got yourself an all-round resort fit for every type of guest. 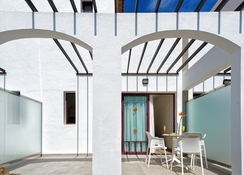 The traditional low-lying apartment and bungalow-style blocks stand out for their colourful balconies and terraces and are equipped with plentiful facilities to ensure a comfortable stay, plus a choice of room options available. The hotel is just a short walk away from the Caleta de Fuste Beach, making it a perfect location for beach lovers. In-resort, there are two outdoor swimming pools, a daily activity and class programme, two hot-tubs and several bars, restaurants and cafes to indulge in. The Broncemar Beach is located on the outskirts of Caleta de Fuste in a lively fishing village, which is just 300m from the sandy beach. 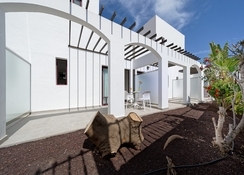 Fuerteventura Airport is only 6.7km away, making it convenient for guest transfers to and from the property. In addition to this, there are many bars, restaurants and shops close by to the hotel, where you can explore a variety of local and international specialties. Broncemar Beach’s cozy apartments stylishly complement the guests with a bedroom, balcony and living-dining area, which are not only colorful, but offer spectacular views of the sun and the pool. 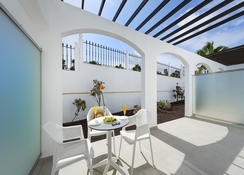 Whether you are a solo guest, couple, family or with a group of friends, you're sure to find something suitable, as the hotel offers apartment in four categories that include one-bedroom apartment, one-bedroom apartment with private terrace, two-bedroom apartment with a private terrace. Delicious flavours, textures and a wide-range of cuisines best describe the restaurants and bars in this resort. You can enjoy your meals at the main restaurant, plus there are a la carte restaurants and bars, which cater to truly global tastes. The Pool Bar also serves alcoholic and non-alcoholic local drinks, besides tea and coffee. Since the hotel is located barely 50m from popular restaurants and nightclubs, so there’s lots to explore. The hotel is located a few minutes from the sandy beach, where you can enjoy watersports such as windsurfing and kayaking, or simply soak up the sun. Within the hotel there’s lots to do, with a tennis court, table tennis and a pool table. You can also enjoy a dip in the two outdoor swimming pools (one heated), including one for kids, fitted with loungers and parasols, with a poolside snack bar. The little ones too can have a lot of fun in the mini disco, karaoke and playground. The nearest golf course is about a kilometer away. Good basic hotel. Clean. Good food. But everything costs. Safe. Internet. Ice cream cost me £100 for Internet for the week for 1 device. Never paid this much before. I booked this hotel for myself and two children 18 and 21. I'd read previous reviews and although some weren't very nice I went with my gut and it turned out to be a pleasant surprise. We stayed in an apartment at the back, top floor, away from the noise of the pool and entertainment in the evenings, that said it was only a one minute stroll away at a very slow pace. It's not your five start hotel but for the price I'm not going to complain. Our towels were changed every day the bedding once, we stayed a week. We enjoyed the food, it was repeated every few days but the choice was varied so we didn't find ourselves eating the same meal every day. I'm coeliac and even I didn't struggle. There are plenty of bars, restaurants near by, walking distance and supermarkets, shops etc. The beach is a five minute walk away too. We went the last week of June for one week, next year we'll return and stay for longer. Hope this helps to make your mind up about booking a cheaper holiday. This is the second time I have been here. Love it, great facilities, easy to get around. Everyone is accommodating. Plenty of poolside space. You can do full board or room only so it suits everyone. There is a little shop and souvenirs shop as well as entertainment. Very clean. Didn't do all inclusive but otherwise excellent. Will come again. We had a lovely holiday but the food was boring.